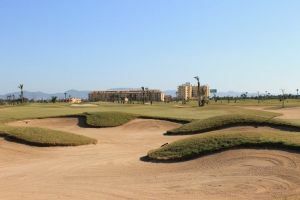 You can play on Mar Menor Golf Resort´s golf course over the current nine holes in operation, designed by Nicklaus Design. These holes will be expanded with another nine. 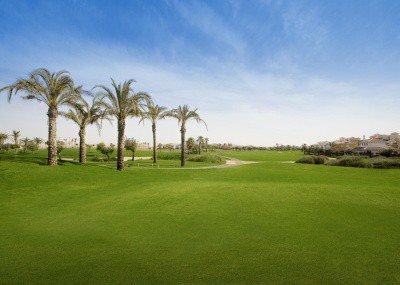 A total of 18 holes to be enjoyed by players of all levels, perfect for professionals and amateurs. It will be an 18-hole, par 68 golf course with ample tees and highly compensated, where the recovery holes will benefit everyone´s scorecards. 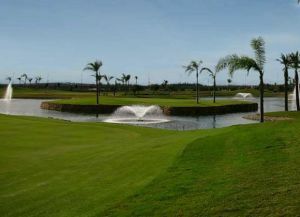 Its spectacular design demands a diverse range of shots to successfully overcome the obstacles, making its round an ideal place to hold tournaments, with the extra incentive offered by the various water hazards that embellish the course and global views. 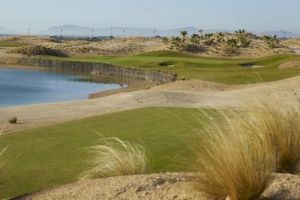 The lakes play an important role as the game progresses, requiring of the player great skills and composure when facing these types of obstacles.You can play on Mar Menor Golf Resort´s golf course over the current nine holes in operation, designed by Nicklaus Design. These holes will be expanded with another nine. 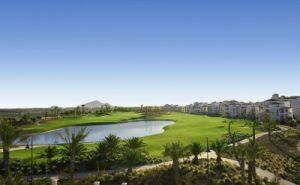 A total of 18 holes to be enjoyed by players of all levels, perfect for professionals and amateurs. It will be an 18-hole, par 68 golf course with ample tees and highly compensated, where the recovery holes will benefit everyone´s scorecards. With an original designed by David Thomas and an extension design by the prestigious company of golf course Nicklaus Design and is been made a new 18 holes course par 72. The course has a tendency of having soft contours and good recovery areas accompanied by wide bunkers buy easy to get out of. 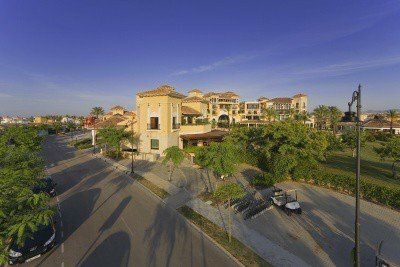 Mar Menor Golf Resort is not yet in our pool of Golf Courses for orders.